It is a truth universally acknowledged, that a single man in possession of a good fly rod must be in want of a rising trout. When I first fished the Sage Circa; truthfully I will have to admit that I felt a little bit like Mr. Darcy when he first met Elizabeth: aloof and uninterested. It felt light and soft, maybe a little fun to fish with; but there are lots of fun rods out there. I like to fish with rods that really click. 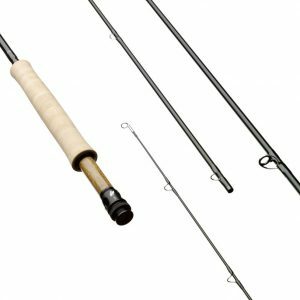 I assumed that the Sage Circa fly rod was just another fly rod left to those who love dry fly fishing. Back on the shelf went Circa; my pride saying “I have other rods I enjoy more”, making a prejudiced snap decision. It’s blatantly clear that this rod was designed and built (in America) to be a dry fly rod. End of story. 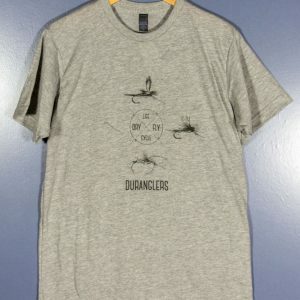 There is nothing wrong with that either, but I rarely find myself fishing from dawn until dusk with strictly dry flies. Those kind of days happen once a year if I am lucky. So the truth has to be told: when I demo’d the Sage Circa fly rod last year, I fished it with a pretty crappy fly line. Not crappy in it’s condition, but crappy in it’s taper and weight. For whatever reason, it made the Circa 589 (5 weight 8’9″) feel like doo-doo. This completely influenced my taste (or lack of) for the Circa. Thanks be to the good Lord for not letting my Circa experience end there. I actually (and reluctantly) took the Circa 589 out again earlier this spring for an hour strung up with a line more suited to the rod. The fun factor went way up and for that singular hour, and I truly enjoyed my time with the Circa. We really connected and I was intrigued. Well as always turns up in life, distractions happened. Runoff happened. Circa and I went our separate ways. Me, casting fast rods with heavier bugs, and the Circa…well it went off and did whatever fly rods do when they are not being fished. Ballet or bowling probably. Then a chance encounter. 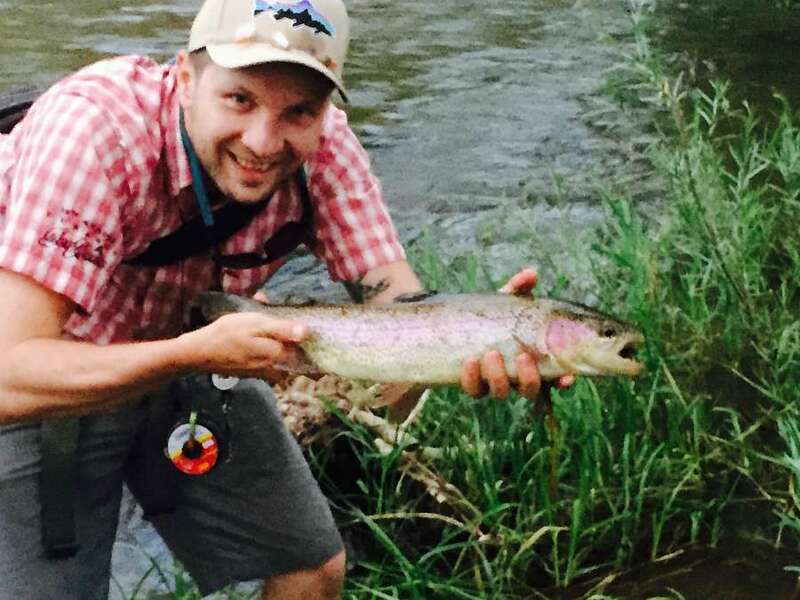 I strung together a few days of local fishing on a variety of smaller rivers and creeks. I needed a good stick to handle everything. The answer I hoped was in the Sage Circa 489 (4 weight 8’9″). I covered water that averaged about 40 feet across, fishing dries, nymph with indicator rigs, and small to medium sized streamers. The Circa 489 handled it all UNBELIEVABLY well. Even little guys were fun on the 4wt Circa. The accuracy of this rod. I am serious. The Konnetic Technology that Sage touts is the real deal (the Sage ONE also suffers from being extremely accurate so I am left to assume it is the Konnetic tech that makes these rods sniper rifles). Look where you want to cast, make the cast, and the fly will be there. The roll-cast-ability of the Sage Circa: having a slower action, this thing can easily make 40 foot+ roll casts. An advantage for anyone stuck in dense overgrowth or the angler who finds themselves doing single handed spey casts as much as they overhead cast (like me). The Circa is extremely lightweight. The 489 weights 2 3/8 ounces. Now this is where I think Sage fails in their advertising: the Circa is not a dry fly only rod. 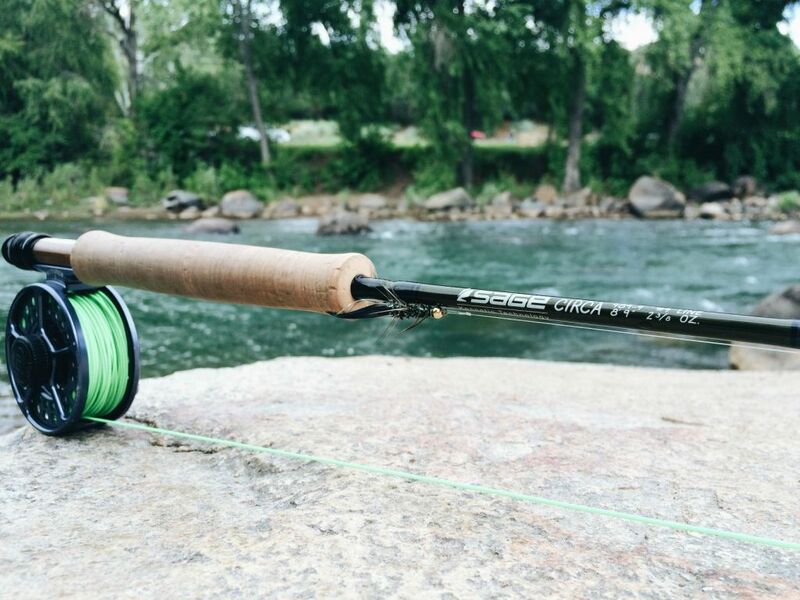 Don’t get me wrong, the Circa is an amazing dry fly rod, but that is not all it can do. I also threw heavy nymph rigs and a few small and medium sized streamers. This thing cast and fished them all beautifully. The Circa man-handled this dude. With the nymph rig, it mends line incredibly well. Now it isn’t going to be a 11 foot Czech nymphing rod, but for smaller water this thing worked wonders. The Circa, surprisingly, has some power. For a lightweight rod anyway. It threw heavier Autumn Splendor coneheads with relative ease. It also has some punch to be able to cast upwards of 60 feet. Since it is a slower action rod, it is not easy to generate a ton of line speed, I am sure someone out there could cast the whole 90, but that was not it’s designed intention. The Circa shined for me at 5 to 40 feet. Along with the power: the Circa handled a 20 inch, powerful rainbow very well. I never felt under gunned when I hooked the fish in fast water and it immediately turned and shot downstream. This rod turned him and brought him back quickly. The next day I took the 489 creek fishing. It was a blast to catch 10 inch brookies and did not ever overpower them. This rod is firm, yet gentle. 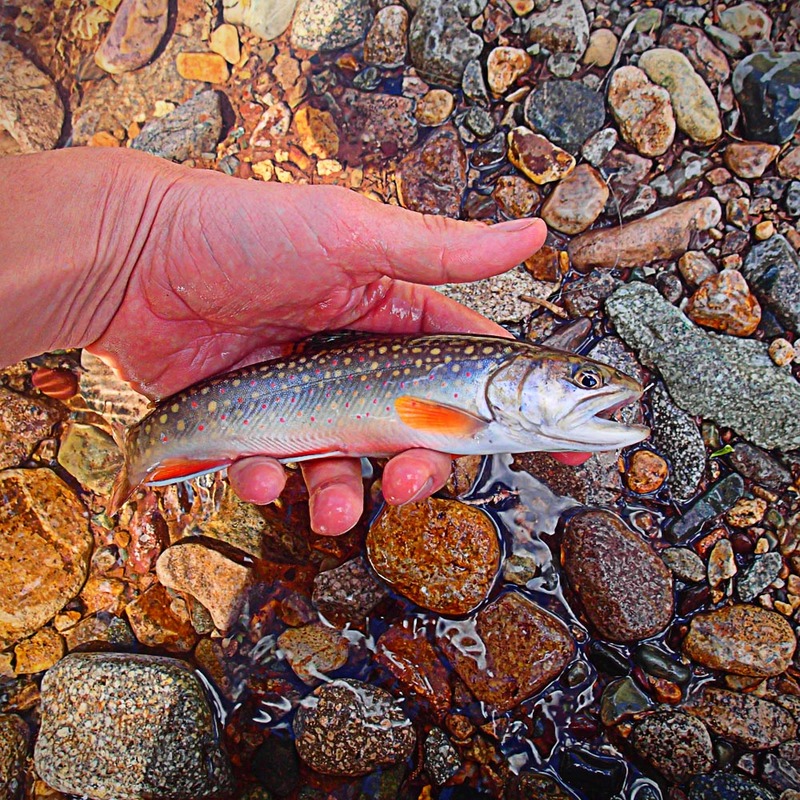 Since taking the 2 weight, 7’9″ Circa on small overgrown creeks, I have not wanted to creek fish with anything else. I have grabbed the Circa 489 more often then not when heading to the Animas or San Juan lately. And when you really get down to it, as I stated before: this rod is a damn fine dry fly rod. From size 22 Midges to size 6 Chubby Chernobyls, this thing was a blast to fish on top. One thing we notice a lot in the shop here at Duranglers is the desire people have for fast, high line speed generating rods. We also notice that when people get these faster rods in their hands, they tense up and attempt to over power their cast. This can lead to tangles, cussing, and stress. I can’t tell you the amount of times we put a Circa in the hand of someone who just got done casting a fast rod and they immediately relax. They loosen up, slow down, and their cast looks better. They may not be able to cast the whole 90 feet, but they begin to have fun. The funny part of that is most of these folks never fish past 30 feet anyway. Heck, I was one of these people at one point, letting my pride and prejudice get in the way of fishing a rod that I would one day fall in love with. I still love the fast action game, but the 489 Circa has been getting out on the water a lot more than my other rods these past few weeks. Great review Andy. I own the Circa 489 as well, but must admit I am having a hard time finding a line to fit this rod. What did you end up using for a line? 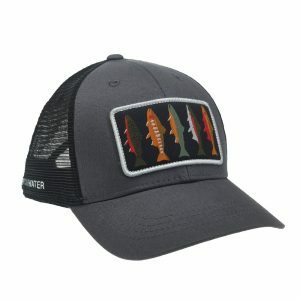 My second choice would be the Scientific Anglers Mastery Textured Trout line. What lines have you tried out for your Circa? It is truly a wonderful rod! Hi Mike, very nice review. I’m thinking to buy a Circa 279 with a Río Trout LT and a ZERO reel from redington. What do you think.? Thx,! I think that would be a very good, lightweight set up. The 2 weight Circa is an absolute blast to cast and fish in smaller creeks. It is a roll casting machine with the Rio Trout LT.
Hey Andy, what reel do you like on the 489-4 Circa? For the 489-4 Circa, I feel that two reels match pretty well with the rod. The first would be the Hatch 3 Plus Fanatic. Second would have to be the Ross Reels Evolution LT 1.5. Both reels balance the rod well and have enough drag for anything you could imagine running into on a 4 weight. Thanks for the review! I just picked up a 389 Circa and am trying to decide on a line, mostly whether I should get a DT or a WF. 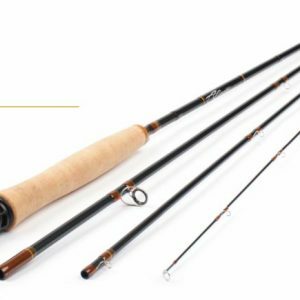 Anyone with this rod have any recommendations? A DT is a great line for the Circa. The Rio Trout LT or Scientific Anglers Trout fly lines are good options. 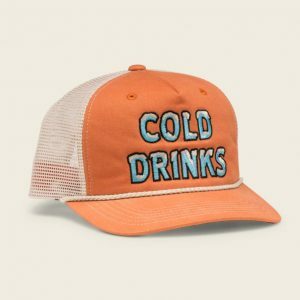 If you were to go with a WF, you may want to consider the SA Heritage Ultra Presentation Fly Line. It is perfectly matched to the softer action of the Sage Circa.